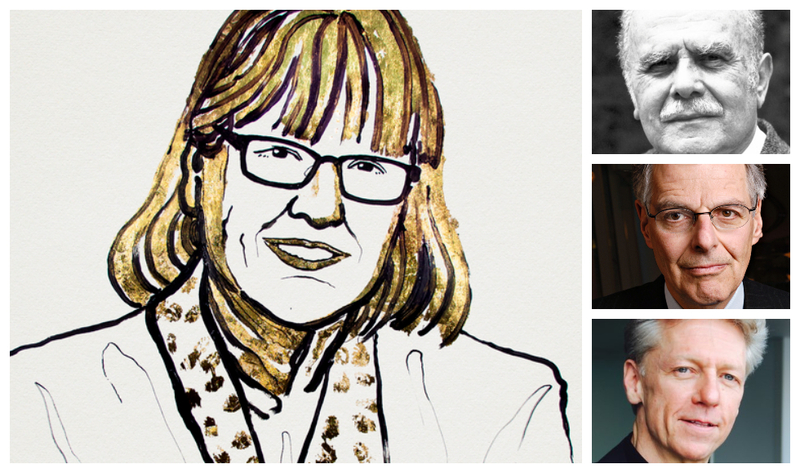 Nobel laureate Donna Strickland joins a growing list of McMaster graduates and faculty whose work has earned them a Nobel Prize. In 1981, Donna Strickland graduated from McMaster’s Faculty of Engineering with a bachelor’s degree in engineering physics. From here, she went to the University of Rochester, where her doctoral work on chirped pulse amplification blazed a trail for current-day corrective laser eye surgery and, this week, earned her and her doctoral supervisor, Gérard Mourou, the Nobel Prize in physics. Bertram N. Brockhouse won the Nobel Prize in physics in 1994. A McMaster professor from 1962 until his retirement in 1984, Brockhouse was the first scientist working in Canada to be awarded the Nobel Prize in Physics. 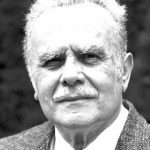 He shared the 1994 Prize with Clifford G. Shull of MIT, for the development of neutron spectroscopy as a probe of condensed matter. Brockhouse was a founding member of the Institute for Materials Research at McMaster, which was was renamed the Brockhouse Institute for Materials Research 1995. Myron Scholes, BA ’62, received the Nobel Prize in economics in 1997. The McMaster economics graduate got his MBA and PhD at the University of Chicago, before moving to MIT. Together with Fischer Black, he originated the Black-Scholes options pricing model, a new method to determine the value of derivatives. The Royal Swedish Academy of Sciences said Scholes’ work with Black paved the way for economic valuations, generated new financial instruments and facilitated more effective risk management. Black died two years before his work with Scholes won the award. Scholes shared the prize with fellow economist Robert Merton, who built upon his work with Black, then generalized the formula in many directions. 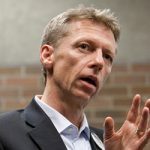 McMaster medical graduate James Orbinski accepted Medicins Sans Frontieres’ Nobel Peace Prize in 1999 while serving as international president. Orbinski, a graduate from the Faculty of Health Sciences, was international president of Médecins Sans Frontières in 1999 when the organization won the Nobel Prize for its pioneering humanitarian work. His time at MSF included service in Somalia during the 1992-93 civil war and famine; Afghanistan in 1994; Rwanda during the genocide of 1994; and Zaire in 1996-97 during the refugee crisis. In his decades of global humanitarian and activitist work, Orbinski has founded Dignitas, an organization focused on community-based treatment, care and prevention of HIV in the developing world, and McMaster’s own Health Reach Program. Orbinski, an officer of the Order of Canada, is a world-renowned scholar on global health and international humanitarian policy.